the Newton's Nook Designs blog! 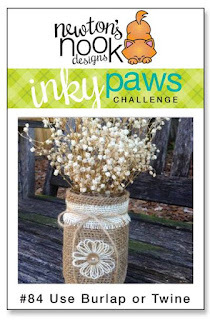 This Biweekly Challenge was a Theme challenge-Use Burlap or Twine. Inky Paws Challenge #84 Winner! 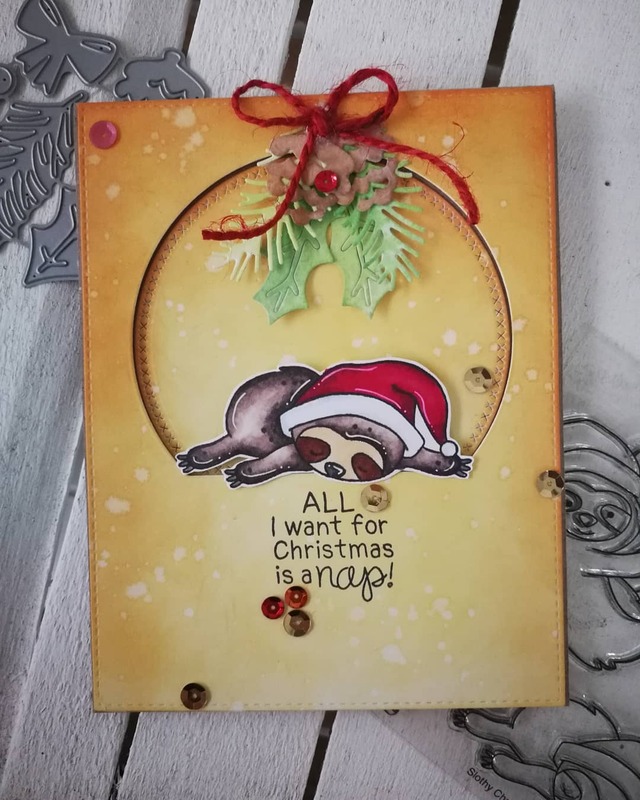 Silvia designs this sweet card using the Slothy Christmas stamp and die set. Her wonderfully distressed background. She adds pine cones and holly using the Pines & Holly die set and adds a red twine bow. To add a bit of sparkle, she adds several sequins! 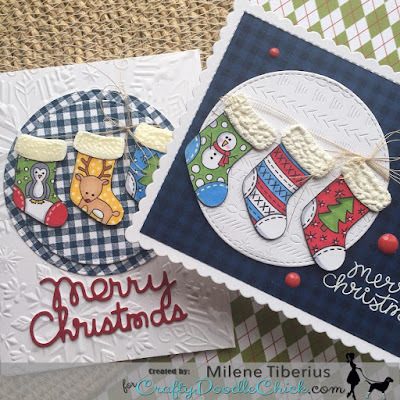 Milene is creates two wonderfully designed cards using the Holiday Stockings stamp set. She festively embosses the white backgrounds then uses navy plaid pattern paper. She then strings those fun stockings with their fluffy white texture with a little twine. Darling! Not only is Silvia our lucky gift certificate winner, but she is also a favorite! Her wonderfully colored sloth from the Slothy Christmas stamp and die set looks content on that wonderfully distressed distressed background. Silvia adds pine cones and holly using the Pines & Holly die set, adds a red twine bow, and finishes her card with sequins! Super cute! 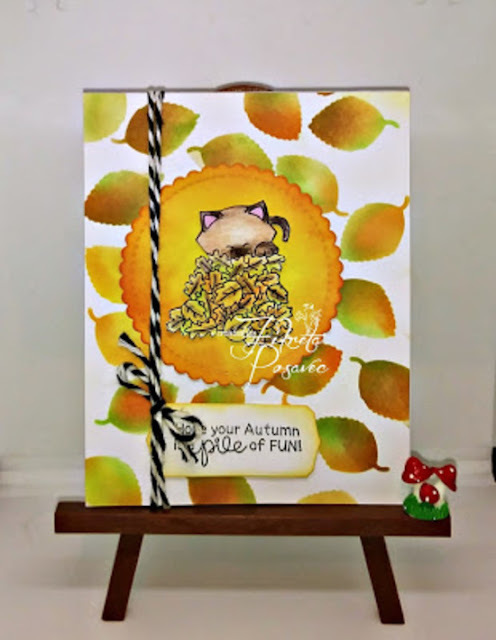 Fikreta use of all those colorful autumn leaves make for a purr-fect background to showcase this playful kitten from the Autumn Newton stamp set on a distressed colored scalloped circle. She stamps the sentiment on a little tag and adheres with black and white twine. 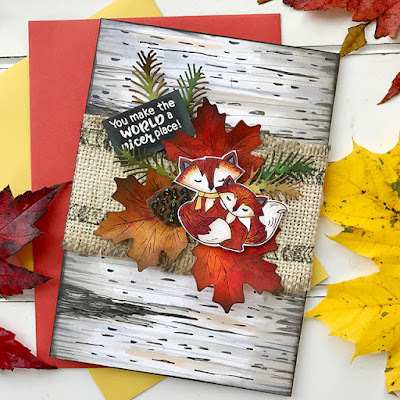 Andrea finds this fabulous fall pattern paper to create her background. She then layers with brown paper to frame her autumn sky. Using elements from Harvest Tails stamp and die set, she colors that sweet deer and wagon full of pumpkins and assortment of gourds! The twine bow is a wonderful finishing touch! So happy for everything.....Thank youuuuuu and congrats to all. Congrats to winners and to all favorites! Im so happy to be Debbie's FAVE!